MANILA, Philippines – A wax mask covered the face of Ferdinand Marcos for the 23 years his corpse was on show, but the body on display was no fake, the Philippine dictator’s mortician told Agence France-Presse in an interview. 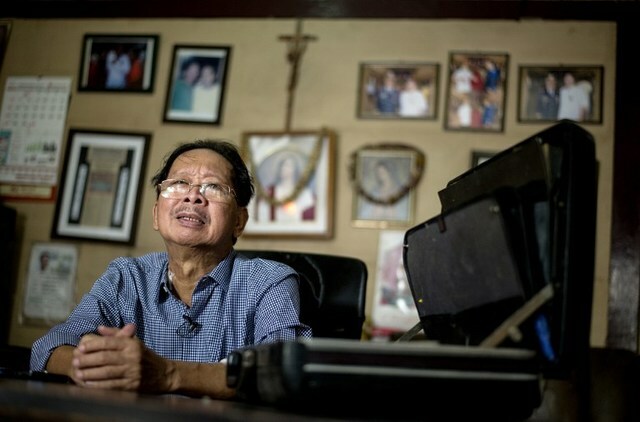 Frank Malabed, the embalmer of choice for high profile politicians and celebrities, revealed the secrets of his trade following the controversial burial at the Libingan ng mga Bayani (Heroes’ Cemetery) in Manila last week. The interment stoked fresh speculation about the dictator’s final resting place, with many believing the real Marcos was secretly laid to rest years ago and the body on display had been a wax replica. But Malabed, who embalmed the body, insisted it was real. “The face the people saw was wax. But for the rest of the body there was no need for that because it was clothed,” the 66-year-old told Agence France-Presse. Marcos died in exile in Hawaii in 1989, 3 years after the “People Power” revolution forced him from office. Critics say during 20 years in power he looted state coffers and ordered the torture and killing of thousands of foes. Marcos’s body was embalmed by Malabed in Hawaii. In 1993 it was flown to the ancestral home in the northern Philippines, where it was put in a glass case for public viewing. Malabed said Marcos, who died from lung, kidney and liver complications aged 72, was disfigured by edema – the build-up of fluid that causes tissues to become swollen. Embalming drains blood and other body fluid, which is replaced with preservative solution. But the resulting “shriveled skin did not look good”, the mortician said. “Ma’am did not care for that,” he added, referring to the widow Imelda. Malabed said he received the already embalmed body a week after Marcos’s death, but had to repeat the procedure because the face looked “bloated” and he feared it would decompose within a week. “I’m a perfectionist when speaking about embalming,” he said, later telling the Marcos family the reworked body would be intact for 30 years. In 1991, Malabed said the widow paid another mortician to work on the face with materials “similar to” the restorative wax used to rebuild the faces of people disfigured in fatal accidents. Malabed said he last checked the corpse “by hand” on August 8, pronouncing it in good condition as burial preparations began in secret. He said another mortuary handled the actual ceremony. The dictator’s eldest daughter Imee, the family’s official spokeswoman for the body, did not respond to Agence France-Presse’s requests for comment. But days before the burial, Imee told ABS-CBN television that “of course” the body was real, though “all kinds of procedures, all kinds of chemicals had been used” on it. As a child, Malabed dreamed of becoming an engineer, but he soon followed in the footsteps of his mortician father. By the time he was an 18-year-old apprentice, Malabed was working on the mangled bodies of US soldiers killed in the Vietnam War, which had been flown to the then-US air base at Clark. Malabed got his first big break embalming a brother and a sister of Imelda, a job which opened doors to the Marcos family. But it has not been all Marcos: he also embalmed Benigno “Ninoy” Aquino, the Marcos family’s arch-political foe whose assassination at Manila airport by government forces in 1983 altered the course of Philippine history. Under strict instructions from the family matriarch, Malabed preserved the body, but made no effort to fix the bullet-shattered face. 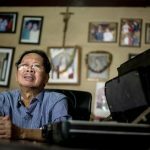 Aquino’s corpse – wearing the same bloodstained jacket in which he had died – became the rallying point for the revolution that ultimately brought his widow to power, and sent Marcos into exile. For Malabed, a devout Catholic, the identity of a person when they were alive is not important; he treats all his clients equally. His skills do not come cheap, he admits, but says the final result is well worth it.